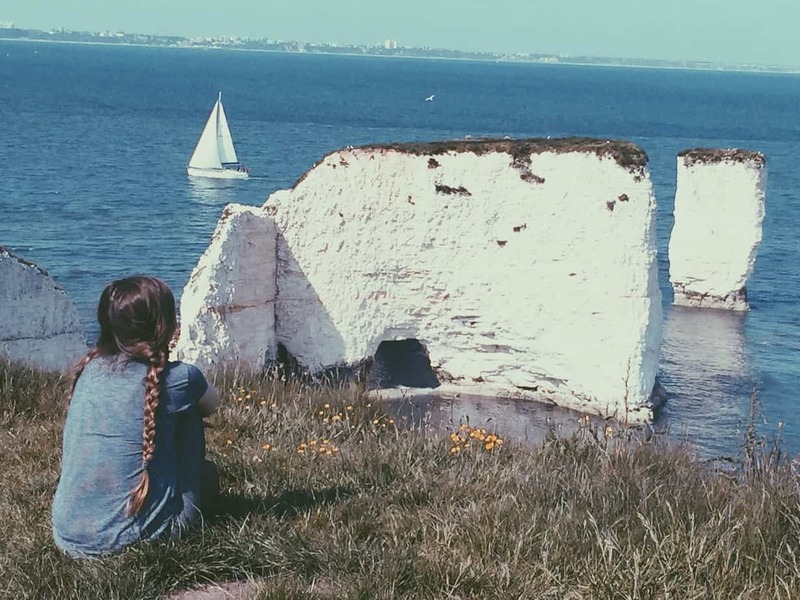 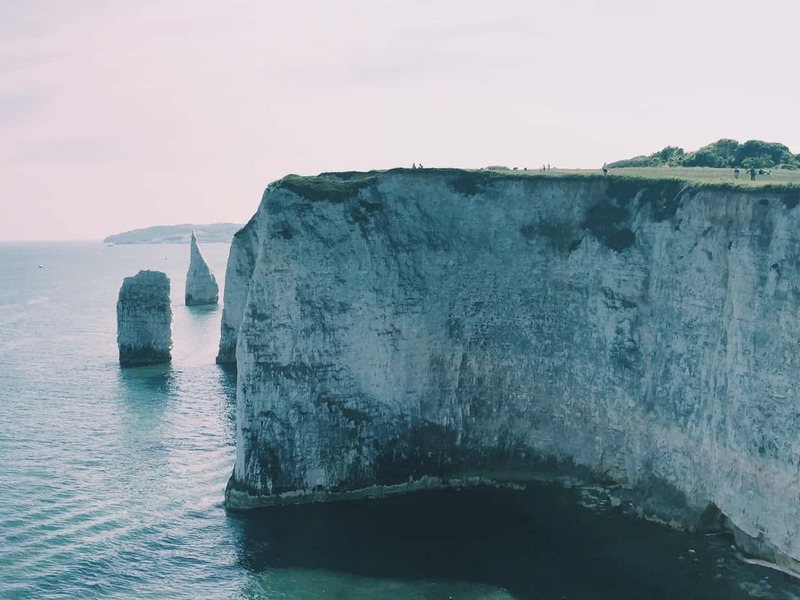 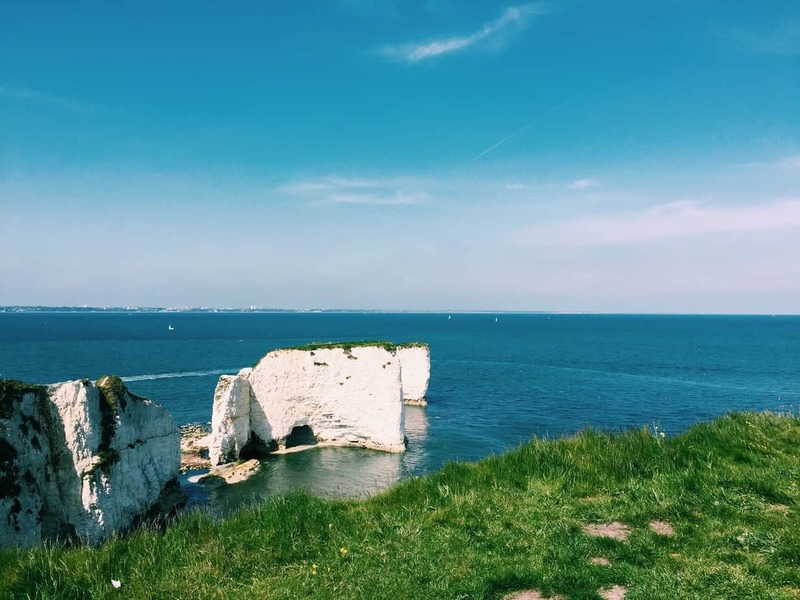 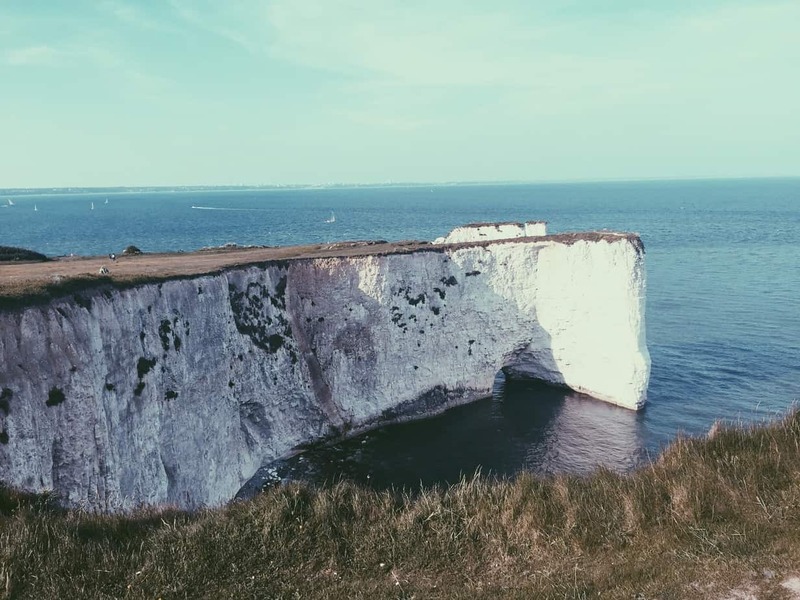 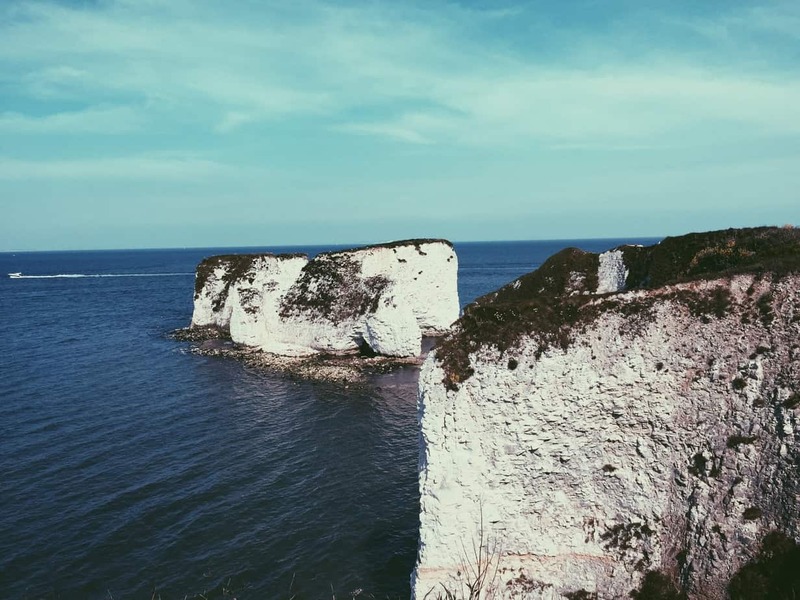 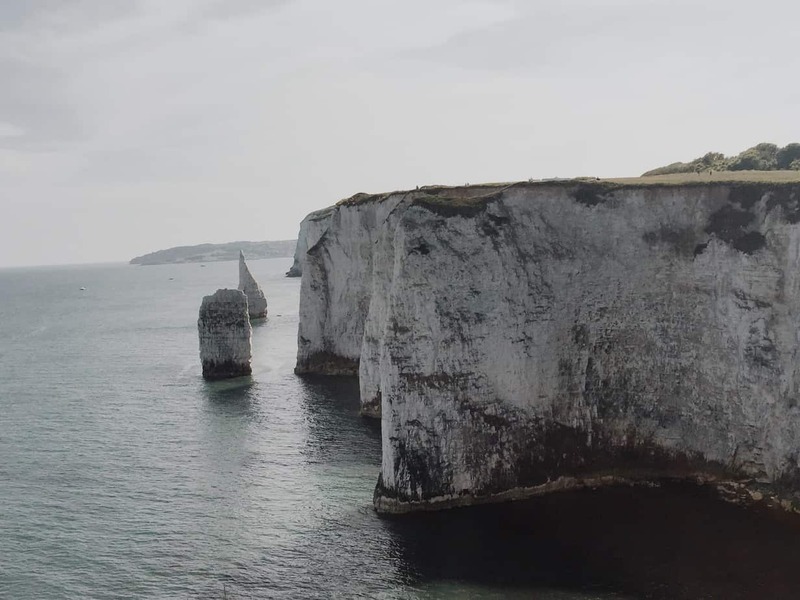 Old Harry Rocks is one of those quintessential views in South England. 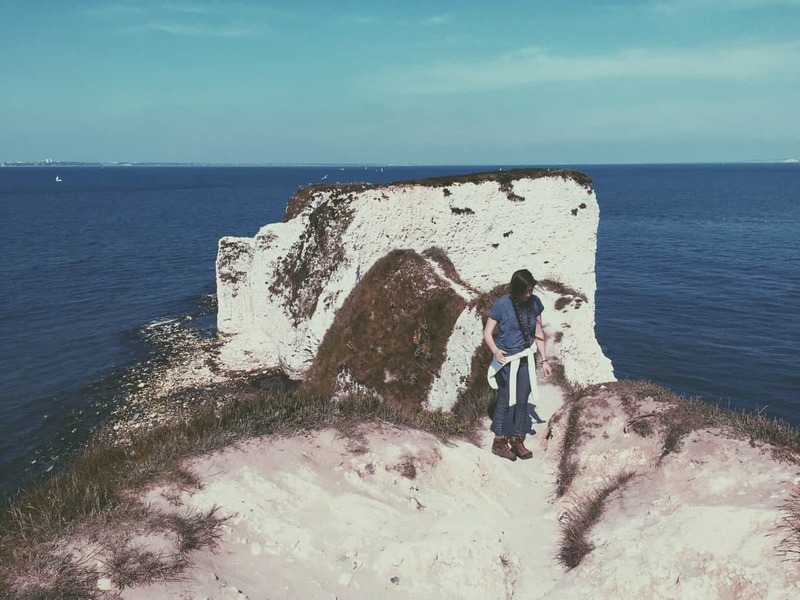 Its gorgeous chalky cliff face, green tufts of grass and worn paths, feet dangling over the cliff edge, outcroppings and mounds of chalky rock rising out of the sea. 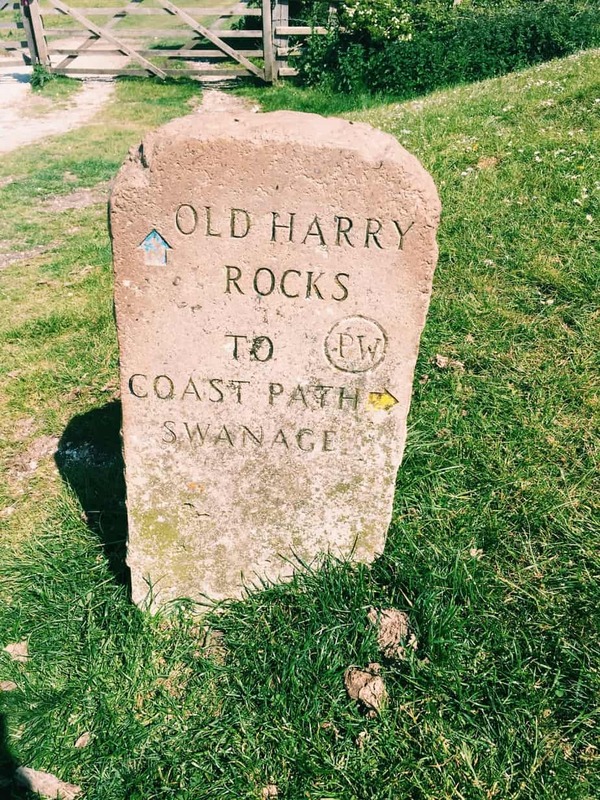 I’ve been thinking about Old Harry for a while. 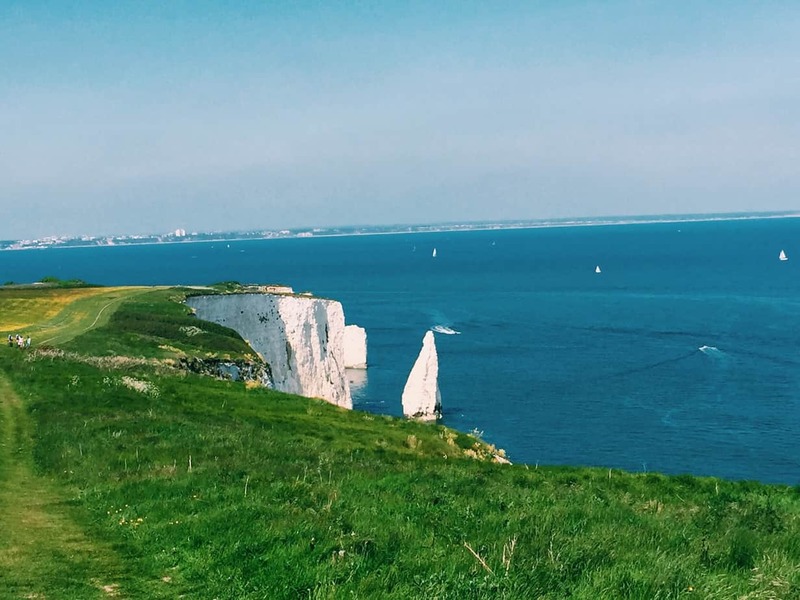 Cue boyfriend who lives just 40 minutes from this beautiful hike! 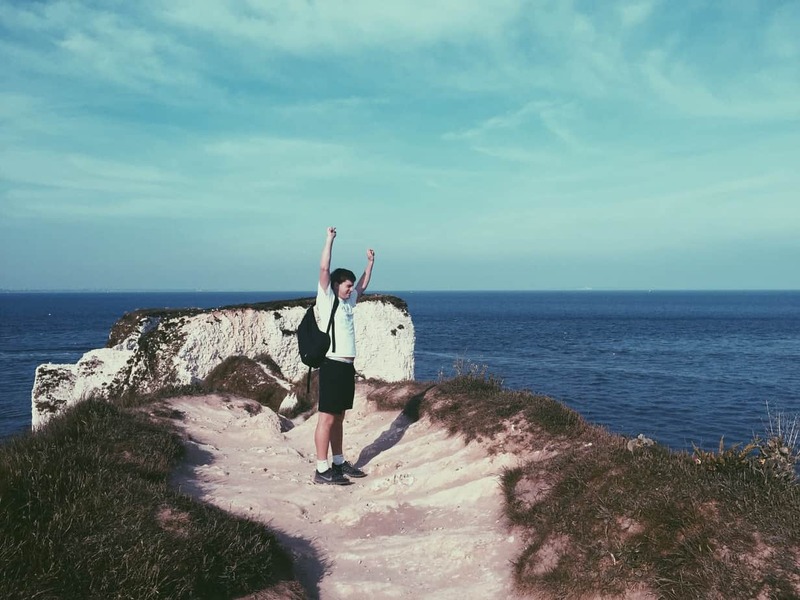 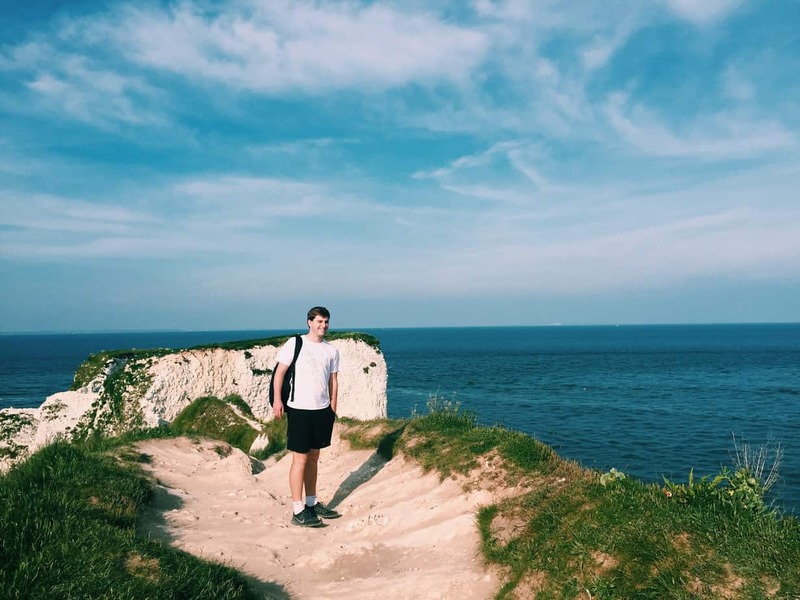 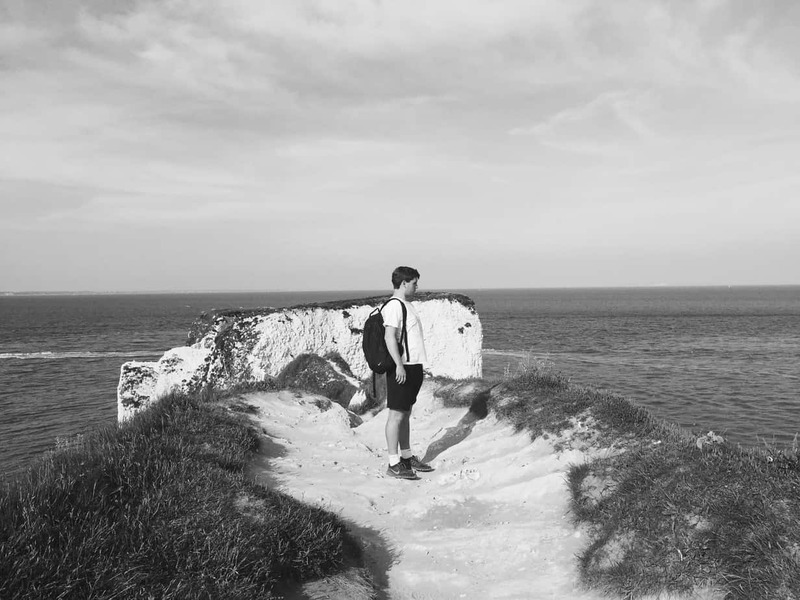 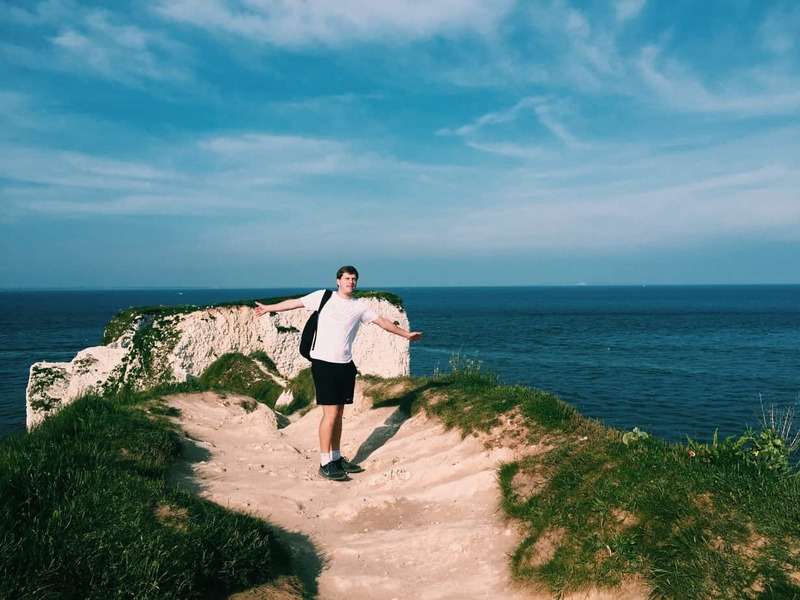 After two years of wearing him down, and converting him into a person who enjoys hiking, we made the journey to Old Harry Rocks on my last visit. 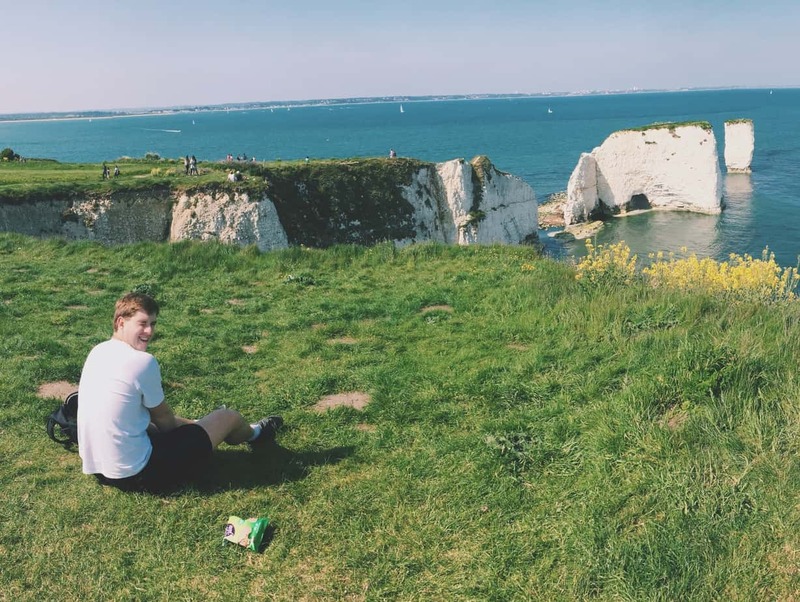 But look at those views… Worth it! 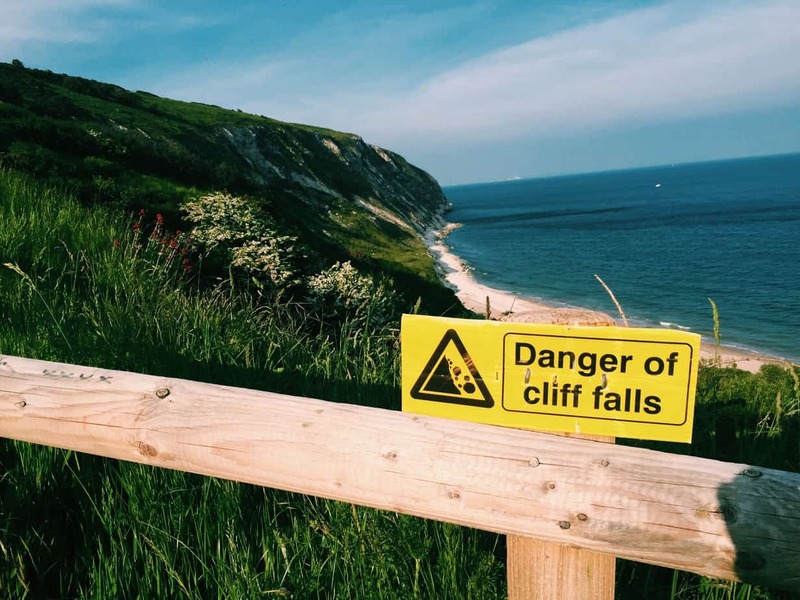 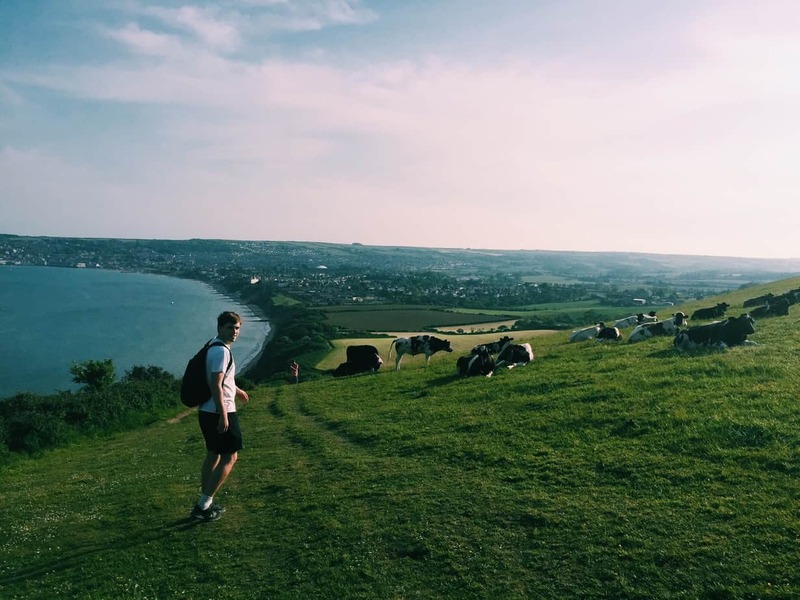 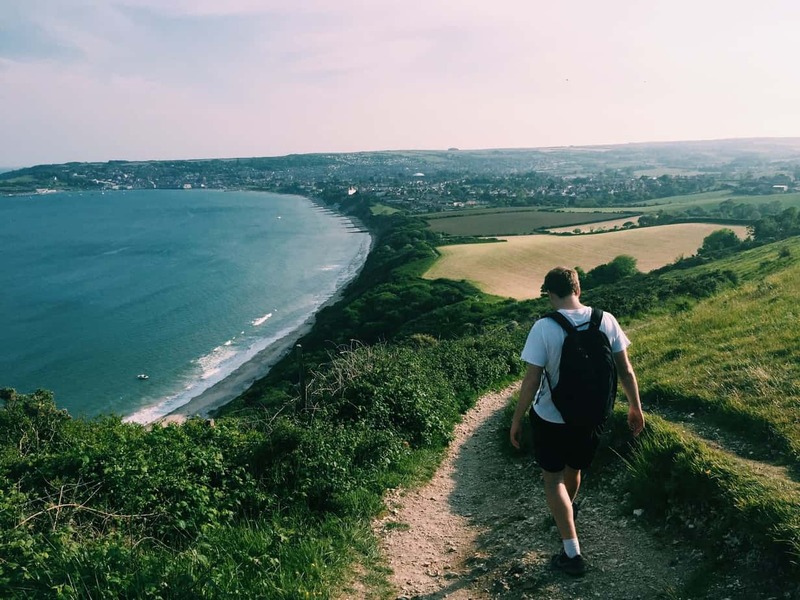 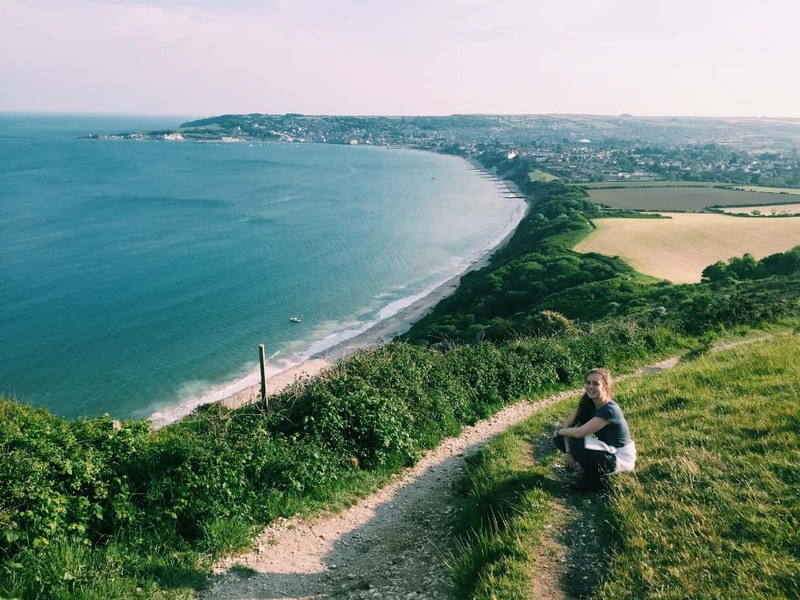 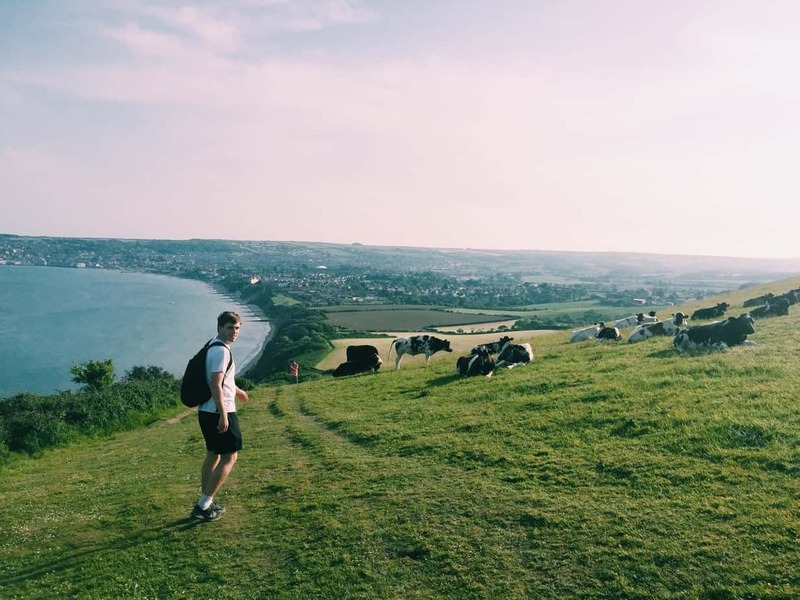 After admiring the views, and the more dare devil hikers posing for selfies on the cliff edge or tiny outcroppings, we turned back to the coast path which lead back to Swanage, a beautiful coastal town, where we’d left the car. 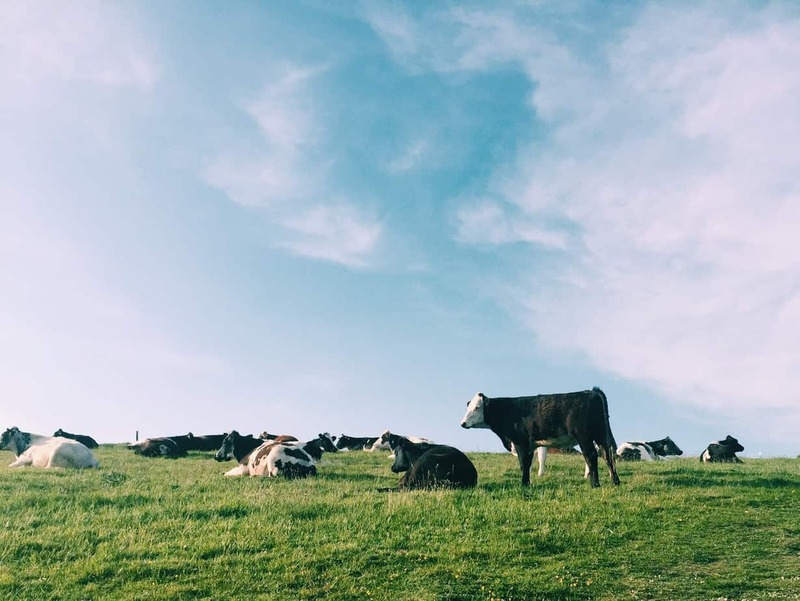 On the hike down we said hello to the local cows, who had turned up to graze right by the path. 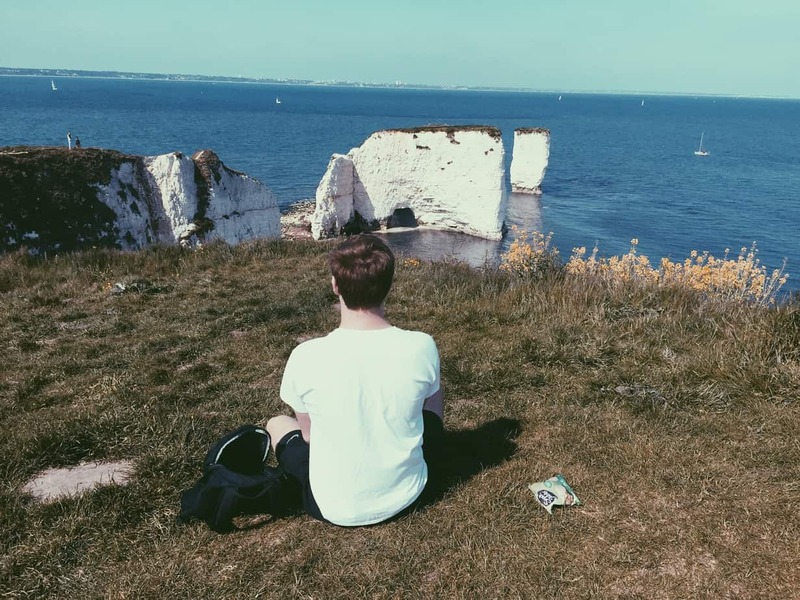 And of course admire the views a bit more. 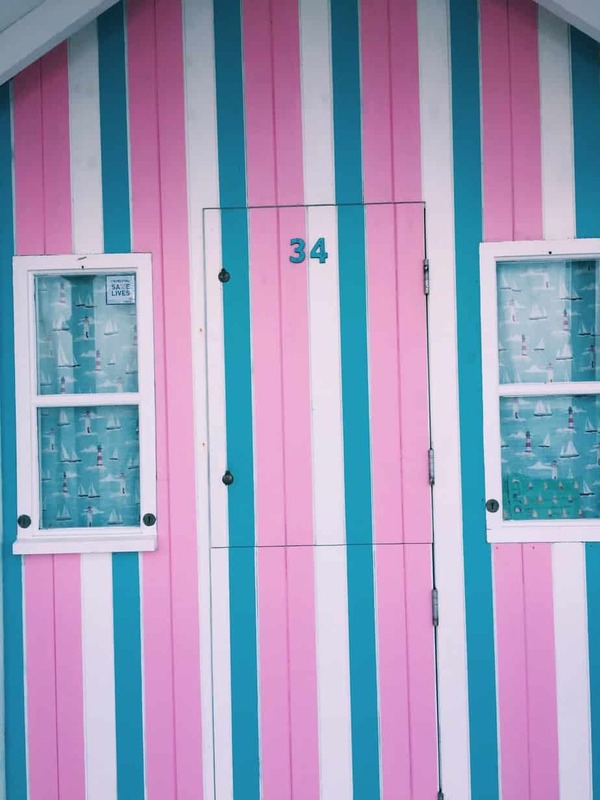 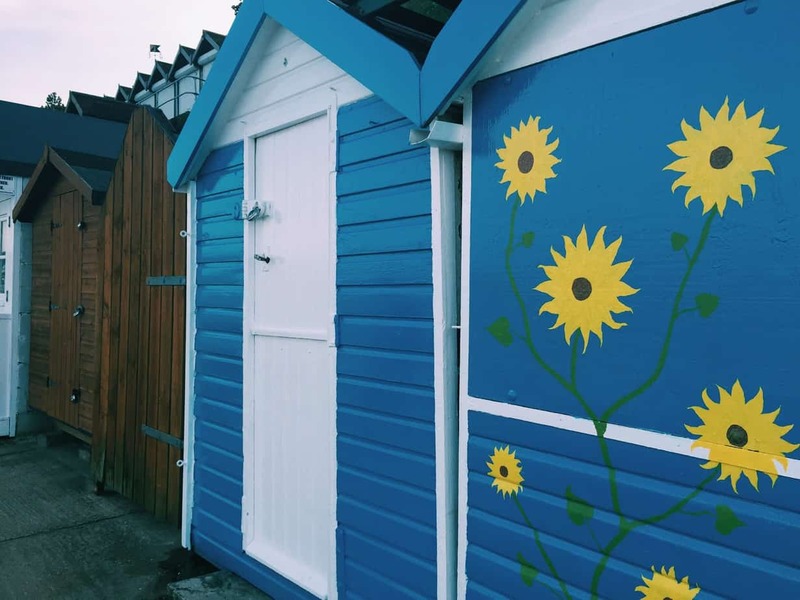 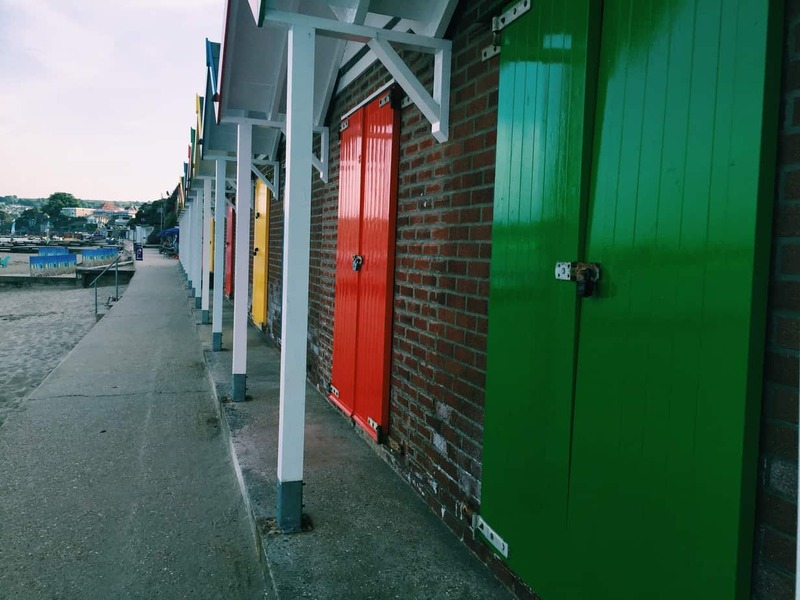 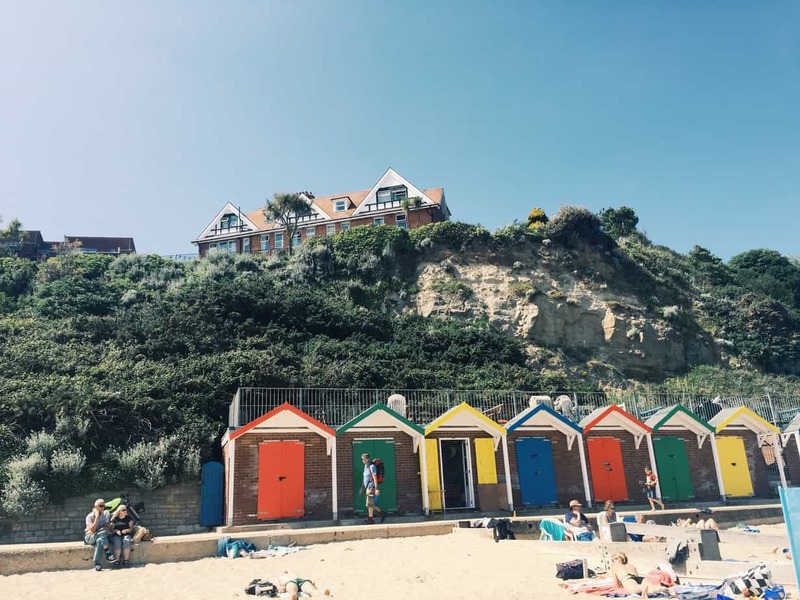 The final stretch of walk along the beach included some colorful beach huts. 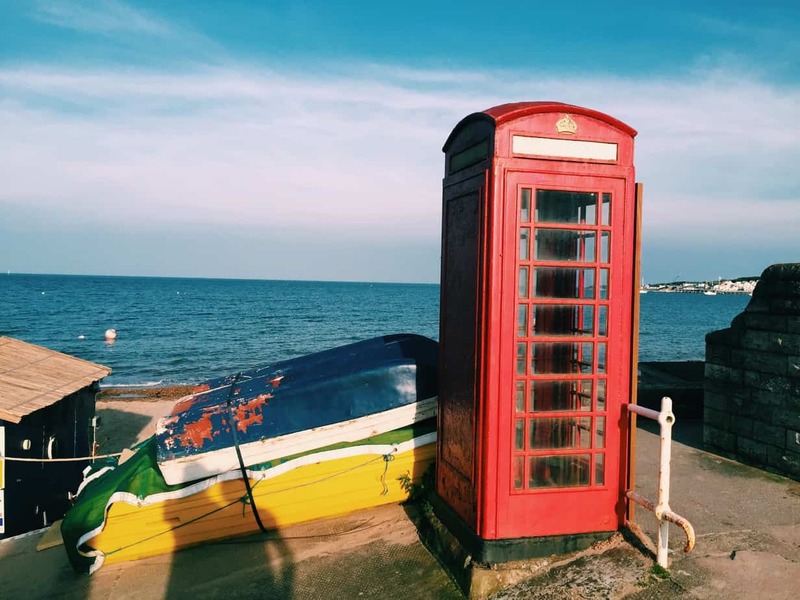 And yes, what is an English beach without a red telephone booth?! 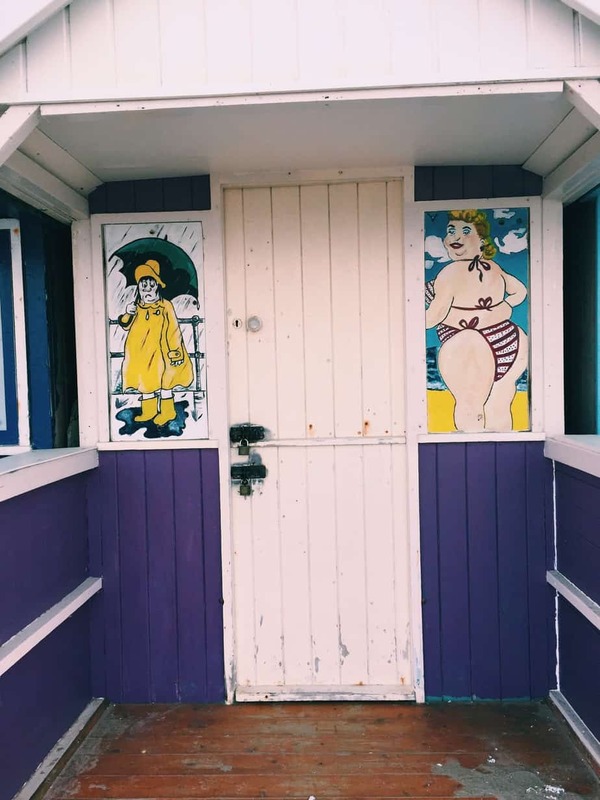 Yeah, I don’t know either. 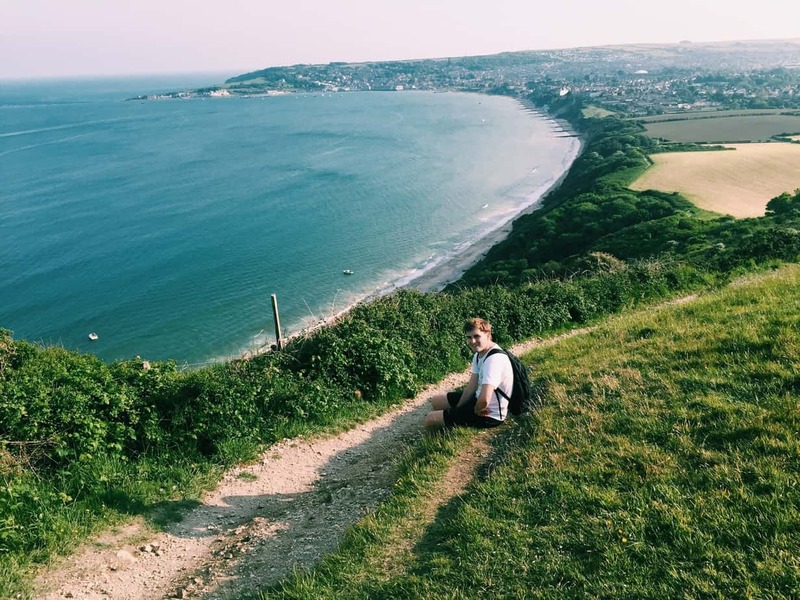 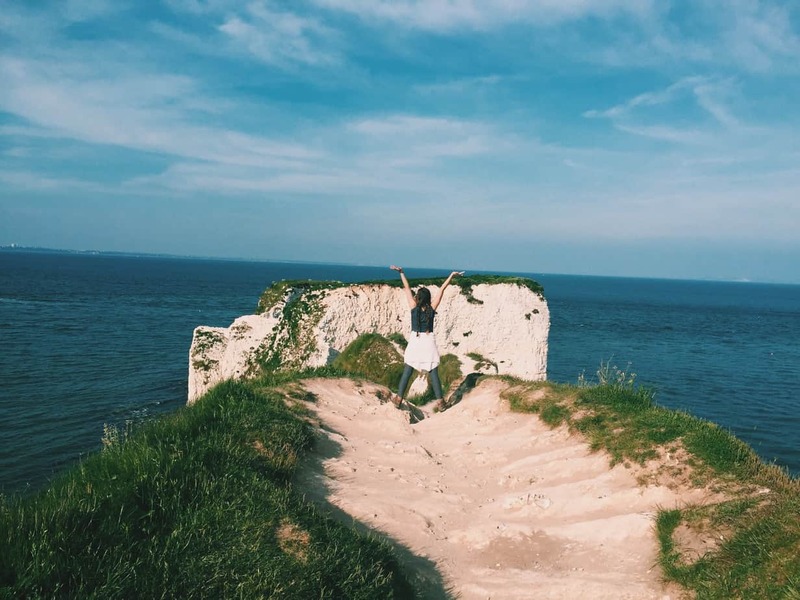 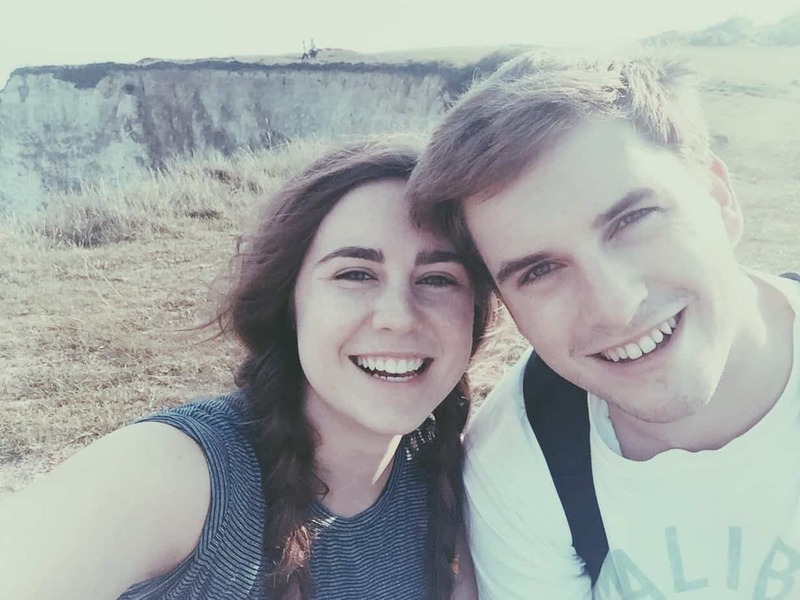 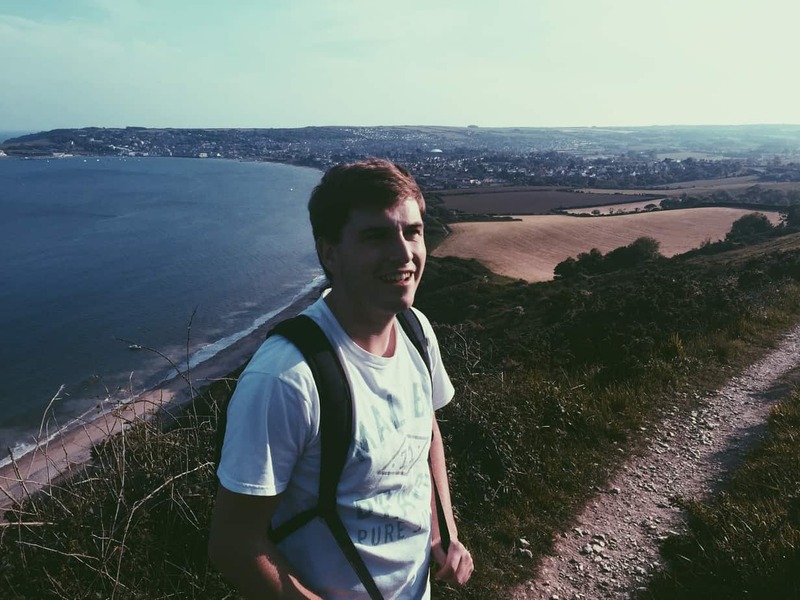 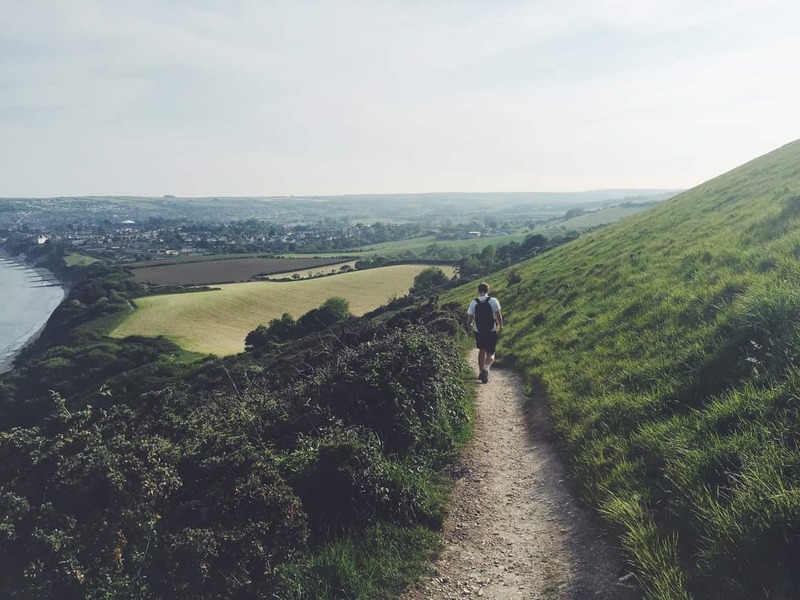 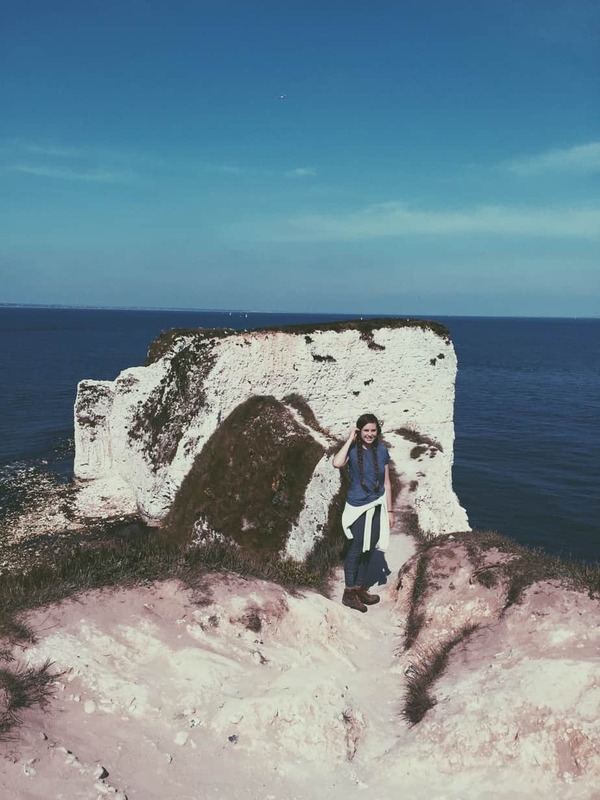 It was a beautiful hike…exhausting, but some of the best views I’ve ever seen in England!